Almost 60 percent of Australians don’t know how to find, understand and use information about their health and health care. This knowledge deficit creates poor health outcomes and has made health literacy a national policy priority. Health literacy practice in organisations can dramatically improve health outcomes, particularly for the most marginalised population groups. As a result, many Australian organisations are now looking for ways to improve their health literacy practices. By hosting a course for 20 people in their organisation or region. Take a look inside a CEH Health Literacy Course in this great 4-minute video. Hear about participants' experiences of the course and get a glimpse of the activities and interactions that make it so successful. This video shows highlights from a course run in collaboration with the Inner East Primary Care Partnership and Outer East Health and Community Alliance. The video was made by those two organisations. This course aims to improve both individual and organisational health literacy practice. Our experience of running this course in the past 5 years suggests that maximum benefit is derived when the following requirements are met. We strongly recommend two participants or more take part from each organisation. This allows participants to support one another in the course, with small projects and within their organisation. It also minimises loss of organisational health literacy knowledge due to staff turnover. given sufficient time to undertake the small projects. Executive approval of application and commitment to attend executive forum. On day 4 of the course (19th November 2019 ). The executive forum relates to strategic and policy-level implementation of health literacy initiatives and acts as a showcase for participants’ short projects. CEH course coordinator will respond to you and will send you an application form. Get Executive level approval of application and commitment to attend Executive Forum on the 19th November 2019. Return the completed application form by Thursday 5 of April 2019. 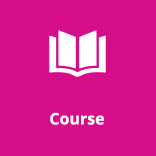 0 : The course consists of 4 Modules delivered over 8 months. Each Module consists of a full-day workshop and related activities such as pre-reading and project work. Participants undertake two small projects during the course. These take place after workshop one and two. A short Executive Forum is held on Day 4 of the course to promotes Executive-level commitment. For more details please refer to the information above. Module one introduces key principles and concepts of health literacy. It also focuses on strategies to review communication practices and tools to check client understanding of health information. - Outline the relationship between health literacy, cultural competence and consumer participation. Within their organisations, participants design and implement a small project relating to communication. The focus is on embedding organisation-wide health literacy strategies into systems, operations, planning and workforce development. Within their organisations, participants develop and implement a project to embed health literacy strategies into systems and operations. Building on the knowledge of the first two modules, participants learn how to lead health literacy change within their organisations, and build the capacity of the workforce to implement health literacy techniques and strategies. Participants share health literacy projects and network with executives through fun, facilitated activities while extending their knowledge through keynote speeches. After the forum, participants review the latest research, policy and practice development and explore consumer participation. The day finishes with reflection activities and a celebration. - Effectively manage research, consumer participation and evaluation. For more details please refer to the Modules tab above.